The building was constructed in 1930 , in the best tradition of the Bauhaus style, as the Esther Cinema - one of the first theaters of Tel Aviv. The building was recently restored and renovated to became an elegant and unique hotel. As an historical building, we preserved the characteristic exterior and, amongst others, the beautiful, original staircase and chandeliers. 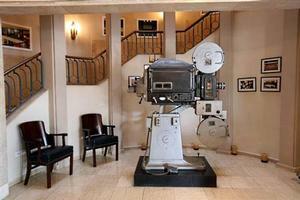 As you browse through the hotel, you will notice some of original projectors, movie posters and theater chairs. 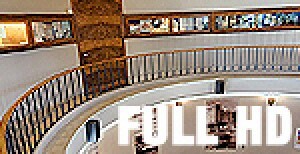 Classic movies are screened in the lobby, along with popcorn to complete the nostalgic atmosphere. 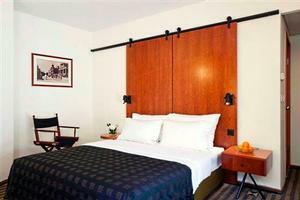 The unique hotel contracted in the Bauhaus style allows its guests a true Tel Aviv experience and cinema theater atmosphere. 82 guest rooms, with air-condition, heating, private bath, safe, satellite TV, telephone and voice mail. All rooms have coffee/tea making facilities and fridge; some rooms with balcony and kitchenette. Dining room with full Israeli breakfast and wide selection of dinner menus. The hotel has excellent business facilities, including designated business floors and business lounge with sunroof terrace, free refreshments, sauna, Jacuzzi and parking. 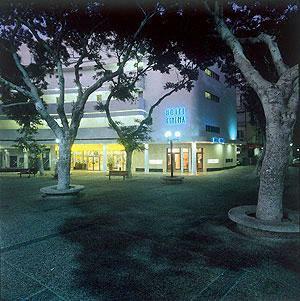 Hotel Cinema's unique position on Dizengoff Circle allows its guests a true Tel Aviv experience on their doorstep-the Tel Aviv Opera and Philharmonic, shopping, restaurants and nightlife. All this in an atmosphere combining elegance and comfort with cinema nostalgia. "Cinema Hotel is in a great location, convenient to the beach and within walking distance of man..."